I love Etsy. The convenience of shopping online, without sacrificing quality or uniqueness. This time of year, especially, I&apos;m grateful for the opportunity to shop from the comfort and... warmth, of my own home. 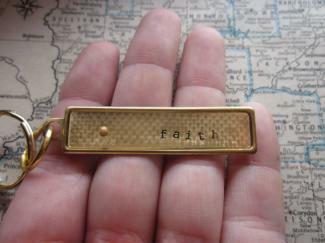 In case you&apos;re not familiar with the wonderful world of Etsy, let me explain. Etsy is the online home of a seemingly endless variety of homemade or handcrafted jewelry, prints, gifts, clothing, candles, bath and beauty products, home furnishings, stationary, decorations and everything in between. I&apos;m partial to their wide selection of party decor and decorative prints. Because items are handmade or handcrafted, most "shops" offer custom choices - such as color, font, design, style and personalized options. What&apos;s even better is the option to search for items made and sold by local merchants. Start by searching a category or specific item on Etsy and then change the seller or "shop" location by entering a local city. How awesome is that? Seize the Night Designs - This Etsy shop boasts an incredible selection of handcrafted jewelry including vintage-inspired looks and unique materials. Most notably, this Danville based Etsy shop is known for their custom orders - jewelry, keychains, ornaments and gifts of every kind. Owner, Sarah, also has a brick-and-mortar location on the Courthouse Square in Danville. Somehow, her order turn-around is still super impressive and the prices for her handcrafted pieces are unbelievably priced. Whether you&apos;re in the market for some last minute, hard-to-find gifts or a little treat for yourself, check out the beautiful work of Seize the Night Designs on Etsy. RusticKick - This Brownsburg-based site specializes in personalized gifts, home furnishings and holiday decor. As the shop name suggests, these unique creations sport a rustic look. Up-cycled materials become works of art in several pieces. You&apos;ll also find a selection of pallet signs that are trendy and beautiful. I think the personalized teacher name plate sign is super cute. You might want to bookmark this for teacher appreciation. It&apos;ll be here before we know it. 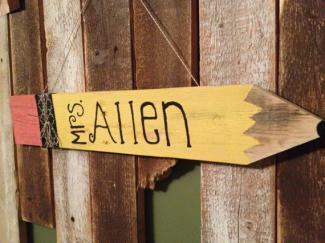 BourbonCreekCrafts - This husband and wife team based out of Brownsburg offers a variety of handcrafted items. He makes rustic wooden block decor and art - such as the "Home" blocks seen on the cover photo. She prefers paper crafts and offers pre-made scrapbooks, greeting cards and gifts. IndiatoIndiana - This Etsy shop is based out of Avon and profits are used to fund the owner&apos;s adoption of a child from India, which I love! They offer beautiful prints, calendars and photo frames. 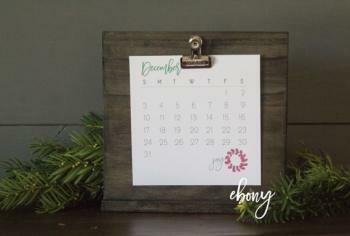 I love the clip style frame sets that include several small prints options including - holiday, faith-based quotes and calendars. These would make great gifts or a new addition to your home or office decor. Not only are the prices very reasonable, they offer locals the opportunity to pick up their purchases. Be sure to enter the code LOCAL16 to make arrangements. Pattispretties - Better than an online boutique, with Pattis Pretties you know that you&apos;re directly supporting the creator of these handmade accessories. This Brownsburg-based "shop" offers crocheted ear warmers, scarves, jewelry and purses. Her items are simply stunning. These are just a few of the many locally based "shops" you&apos;ll find on Etsy. Do a search of your own, and you&apos;ll soon see that we have a lot of talented folks here in Hendricks County. Lucky us, we can shop and support them at our own leisure and from the comfort - and warmth - of our own homes. Remember just nine more shopping days left!